2002 Chevrolet Corvette Convertible Six Speed. 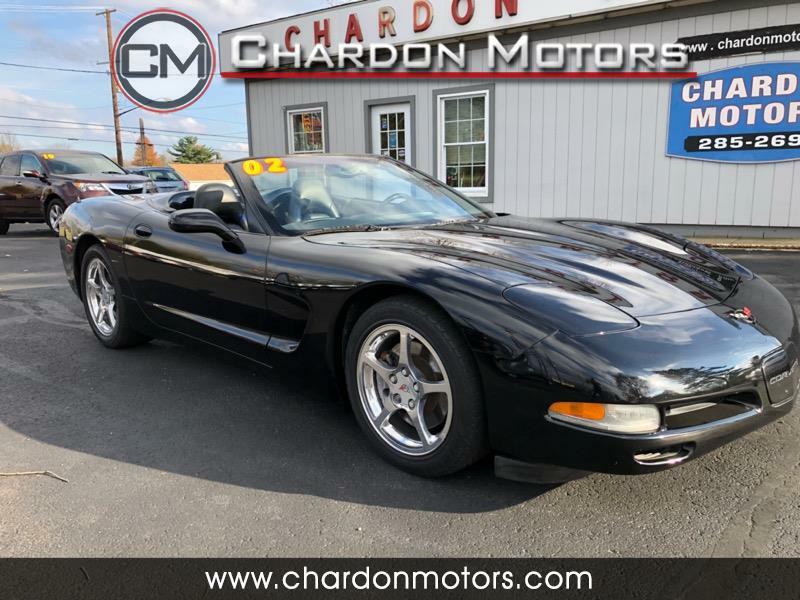 Offered by Chardon Motors. This is a CARFAX CERTIFIED vehicle. Leather interior, heads up display, keyless entry, power seats, memory drivers seat, power tilt and telescoping drivers wheel, adjustable ride settings, factory floor mats, chrome wheels, Bose sound with Aftermarket Alpine head unit. Drives perfect. Come today to see this gorgeous car! Message: Thought you might be interested in this 2002 Chevrolet Corvette.